A proud military man, Colonel Claus von Stauffenberg is a loyal officer who serves his country all the while hoping that someone will find a way to stop Hitler before Europe and Germany are destroyed. Realizing that time is running out, he decides that he must take action himself and joins the German resistance. 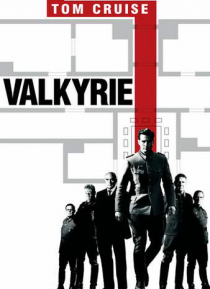 Armed with a cunning strategy to use Hitler's own emergency plan - known as Operation … Valkyrie - these men plot to assassinate the dictator and overthrow his Nazi government from the inside.